During a Thursday press conference on a shooting at a community college in Oregon, US President Barack Obama asked the media to compare the number of Americans killed by terror attacks to the number killed by gun violence. "News organizations, tally up the number of Americans who have been killed through terrorist attacks over the last decade, and the number of Americans who have been killed by gun violence," Obama said. "Post those side by side on your news reports." 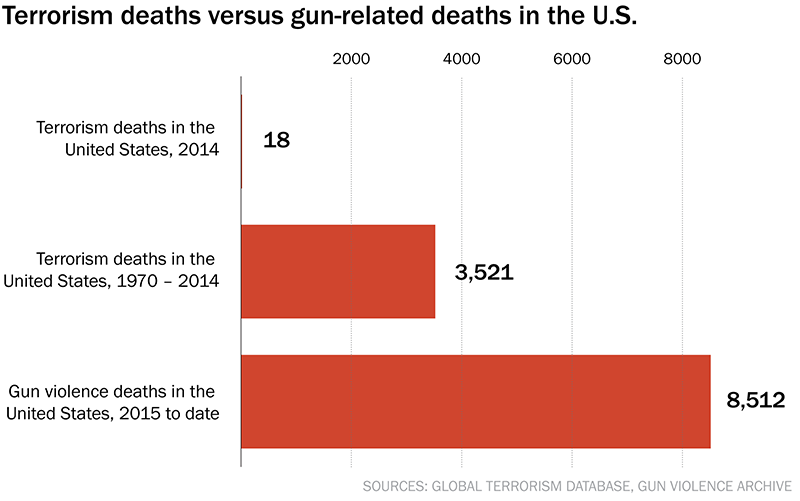 Many more Americans are killed by gun violence than terror attacks. The Washington Post compiled the statistics in a series of graphs in August. According to the Global Terrorism Database, 3,521 Americans have died from terror attacks in the United States since 1970. Gun violence, on the other hand, has taken more than twice as many lives in 2015 alone — 8,512 in 2015 so far, according to the Gun Violence Archive. 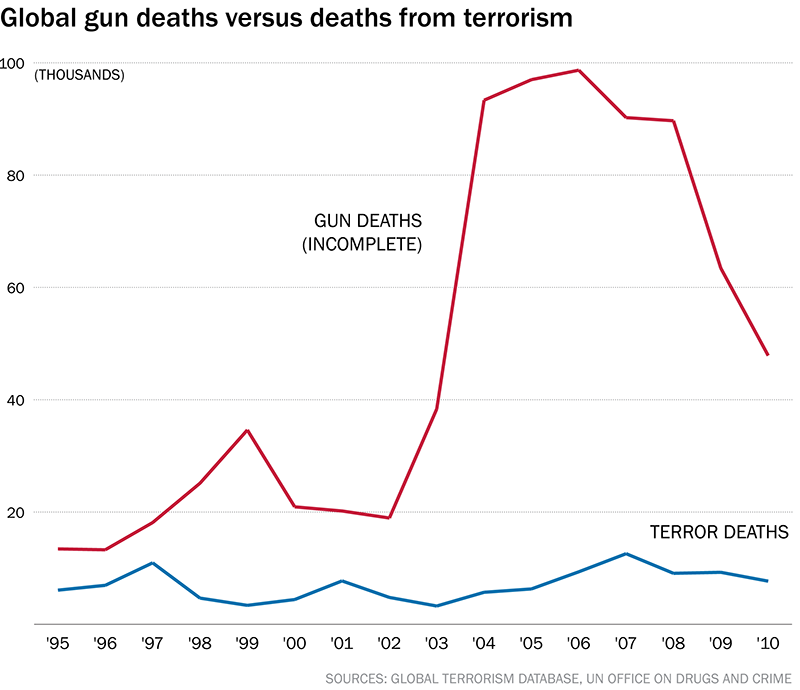 The Post also compared worldwide terror deaths to worldwide gun deaths and found that, even with incomplete data for the gun deaths, terror does not come close. The Post was keen to point out that terror is a remarkably small threat in terms of numbers alone. Compared to the 8,512 gun deaths in 2015 so far, 32,719 people were killed in car crashes in 2013. Dwarfing even that, an estimated 589,430 died of cancer this year so far.